SPECIAL BUTTON HEAD Titanium Bolts designed to bolt your Motorplate to your Chassis. Aircraft quality. 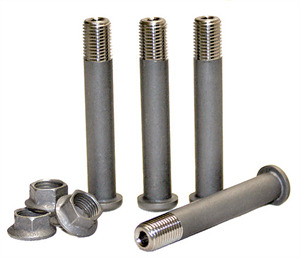 Remember Titanium Saves 50% Of The Weight Over Steel Bolts, And The Special Tall Crown Aluminum Nuts Finish The Job Perfectly.